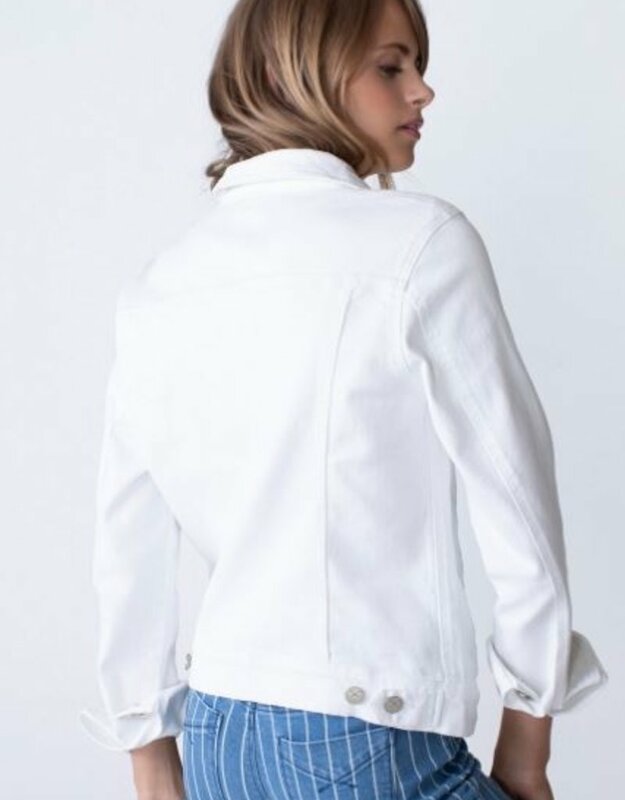 This comfort stretch, white denim allows for a flattering slim cut all while keeping you super comfortable. 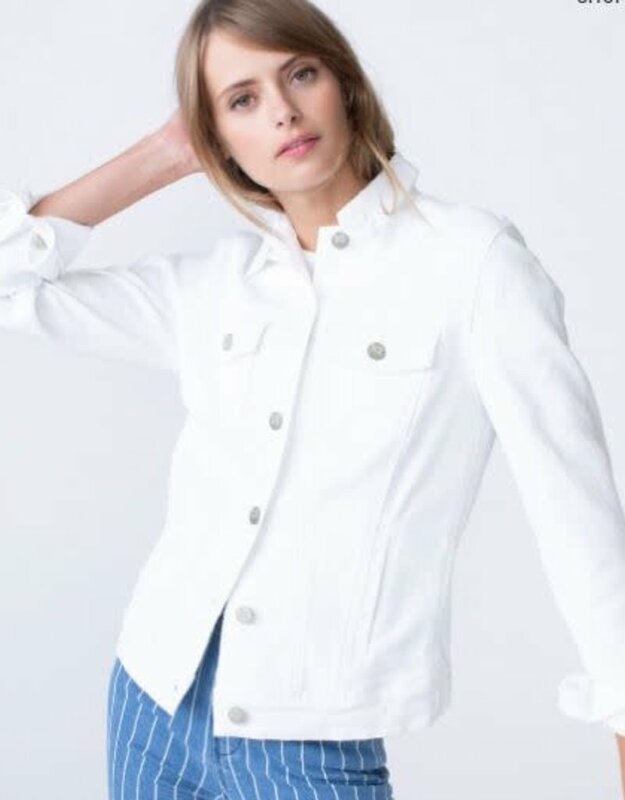 So crisp and clean, this white jacket will be your go-to layering piece all spring and summer. Antique pewter hardware with tonal stitching. Comfort stretch 11 oz. garment dyed denim with authentic vintage character. Size S: chest 35.5" length HPS 22.5" bottom opening 34"